That clown has the sweetest face! I just love it. I have a very unhealthy fear of clowns, but I could never be afraid of a face like that. I chose bright colors which is perfect for a child's card. And I said I had good news. 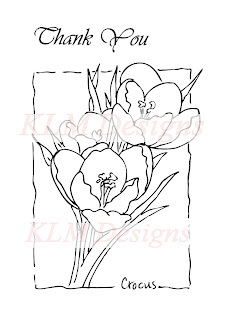 For all my followers and readers, KLM is offering a really cute digi for free! Just click on it and save. Then go play. 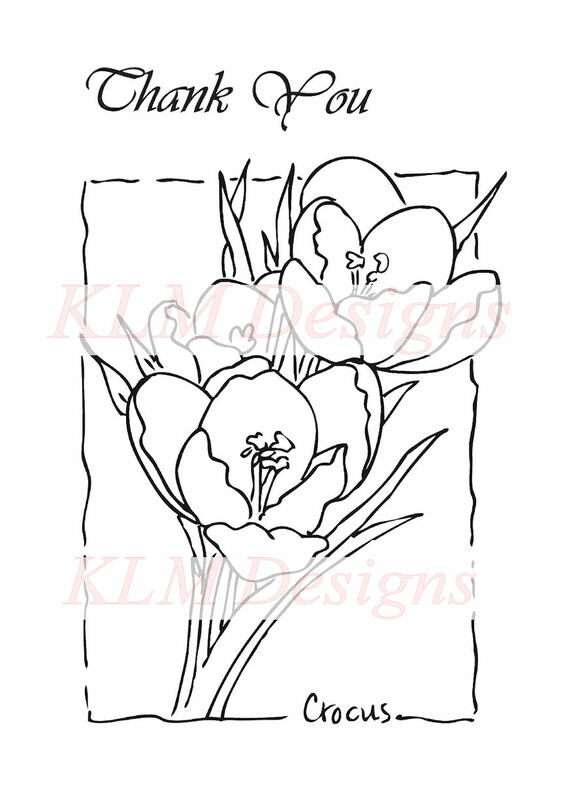 Now head on over to Sweet Sketch Wednesday so you can play along. There's plenty of inspiration there from Arlana and the team. I am officially offline on Friday and hope to be back online by Tuesday. Thanks for visiting me! Here you are in such a hurry and look at that adorable card! It must have been good therapy...Your clown is adorable and your coloring is wonderful!! Great card Mel..and lots of love and prayers on the move!!! Good morning Melissa! I am so happy you stuck around to make this fun card. 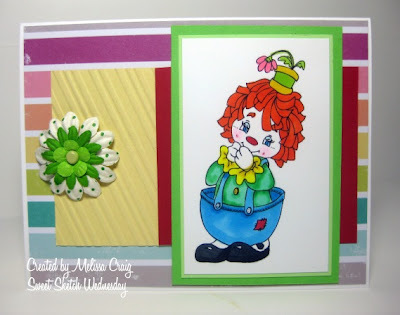 So bright and cheerful - I just love all the colors and your lil clown is adorable! Hi Melissa! I know what you mean about clowns, but he sure is a cutie and I love all of the colors you used! Cute new profile pic too!! Yippee! So glad to see you this week! ADORABLE card!!! I love your new header too! Great job! Good luck with your move. Melissa, I love the new look of your blog. I need to get some time to change my out! I just want to wish you luck in your move and we are looking to have you back very soon! 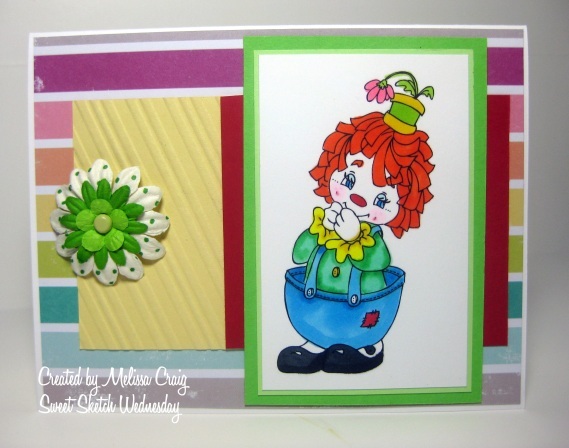 You clown card turned out so cute! I just love the bright colors you used! Cute card Miss...you could send it to me and I could add it to my wonderful clown collection. 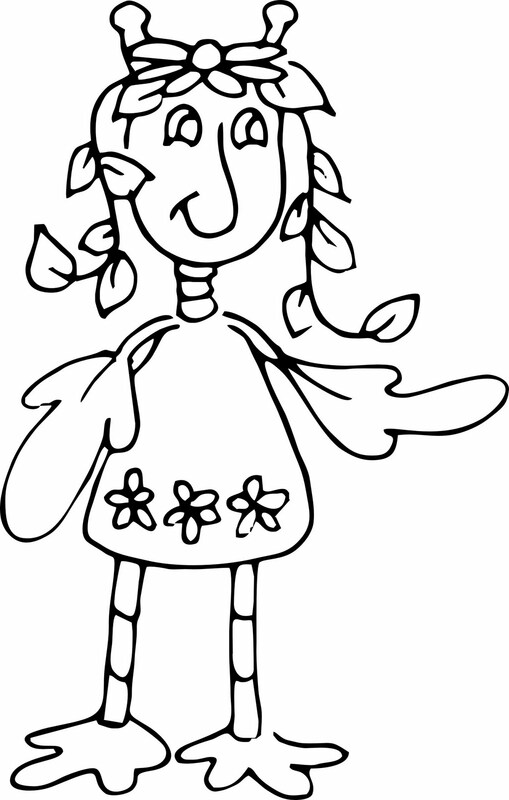 Melissa your clown card turned out so adorable. 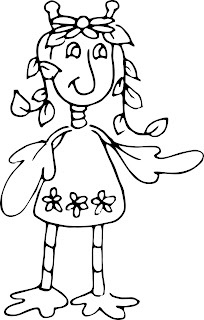 You are such a busy woman But thanks for doing your card its fablous. Hope you are hanging in there. Have a sweet day!!! Woo hoo - I won something! Thank you so much, I really enjoyed the hop last week. I love your cute card, the image is so cute and the colours fab.